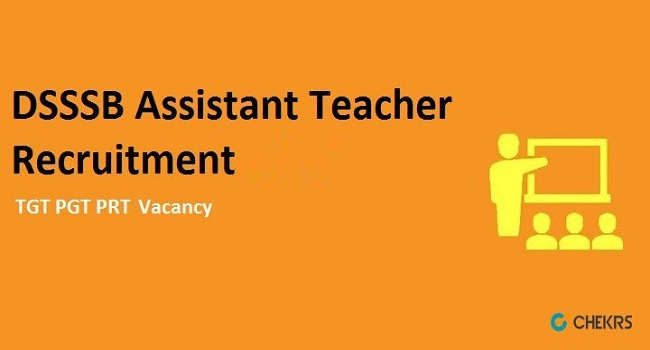 DSSSB Assistant Teacher Recruitment 2019: On the Delhi State Subordinate Services website is going release of DSSSB TGT Notification 2019. According to the notification there is requirement of teachers in various educational institutions. The Teacher Recruitment has been provided under the Directorate of Education. The candidates having an interest can send their applications only the last date. But now Applications are re-opened for those candidates who approached the Hon’ble CAT in various OA’s. More details of the DSSSB TGT Vacancy such as the eligibility, selection process, pay scale and DSSSB PGT Apply Online procedure is discussed in the complete article. The Delhi Subordinate Service Selection Board has been released Assistant Teacher, TGT, PGT Recruitment 2019 notification on the official website to fill up the various vacant posts. The candidates who are willing to participate in the exam and try their luck will have to send their DSSSB TGT Application Form before the due date. The reference for the application submission can be taken by the details given in the notification table. Only the DSSSB PGT Online Form 2019 applications will be accepted. However, any false information will lead to cancellation of the application form. Therefore follow the instructions properly. The candidate should have done Graduation/ Masters in the subject they are applying for. Ed degree will be considered as an additional qualification. The maximum age of candidates should not exceed more than 32 years. Relaxation has been defined in the official notification. The minimum DSSSB PGT Pay Scale of the selected candidates will be 9300- 34800 + Grade Pay 4600/- PM. The maximum amount of application/examination fee is Rs 100/-. Click on Registration or login available on the home screen. Enter the asked details in the correct format and click on submit. Click on the link available the application form. Insert the correct details as required. Pay the fee through SBI e-pay. Your application form is sent successfully. The exam dates, admit card, syllabus and all other notification will be provided to the candidates later on. However, you can receive its updates as soon as the department announces them by jobs.chekrs.com. If any confusion persists about DSSSB Assistant Teacher Recruitment 2019, comment in the section below and our experts will get back to you.